Put the world on your wrist with the ZenWatch 3 Android Wear Smartwatch from ASUS. It connects to your Android smartphone or tablet and, once connected, allows you to receive up-to-the minute notifications and alerts. It enables messaging and call functionality, as well as activity and fitness tracking. 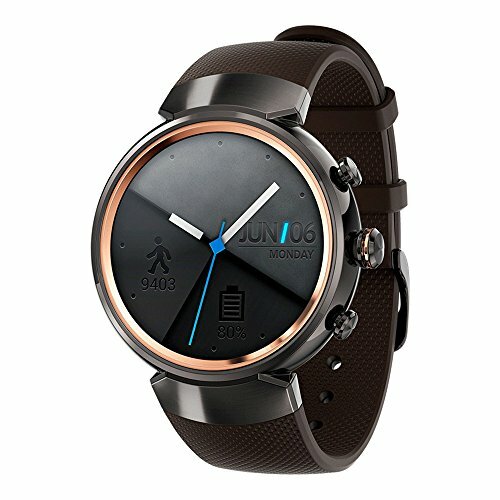 The ZenWatch 3 is powered by a 1.2 GHz processor and 512MB of RAM, and connects to your mobile device using either Bluetooth 4.1 or Wi-Fi technology. It has a vivid 1.39" 400 x 400 AMOLED touchscreen with 2.5D Gorilla Glass 3 for enhanced, scratch-resistant protection. The ZenWatch 3's built-in battery lasts 1 to 2 days, depending on use, and can be charged with the included magnetic pogo cable. Package Content : ASUS ZenWatch 3 (WI503Q), Magnetic Charging Cable, Adapter.